It’s almost summer. And you KNOW your Dad is getting ready to grill his way to September. So what does Dad really need for Father’s Day? Wine that will hold up to his grilled masterpieces! Whether it’s hamburgers and hot dogs, steaks or chops, or even grilled veggies because he’s trying to be healthier, there are great options for giving him wine he’ll love to make his BBQ even better. Quick note: While not every man loves red wine, so many do that we’ve made this gift guide all about red wine and the kinds that go well with barbecue. 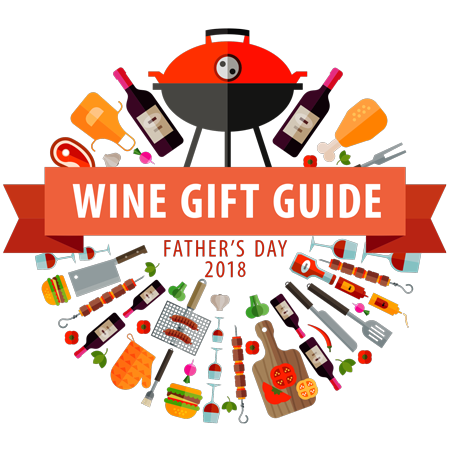 If your Dad has a broader or gentler palate, please check out our Best Wine Club Deals for Father’s Day 2018, where you’ll find a more balanced selection of gifts offering you savings opportunities for Father’s Day. You are at WineClubReviews.net and it’s what we know best. We recommend a 3- or 6- month wine club membership to help him get all the way through grilling season and into the fall. Check out these three wine clubs we think are perfect for Dad this year. The International Wine of the Month Club was thinking about Dads everywhere when they added the Bold Reds Wine Club to their selection. Highlighting regions and varieties from around the world, Dad will always have a bottle or two of robust, complex red wine to pair up with his latest grilled creation. He’ll get two bottles of high-quality red wine in each shipment and their signature Cellar Notes: tasting notes, recipes, and a brief history of the wine region, winery, and winemaker. Recent selections have included: Tierra y Mar Russian River Syrah 2014 (Sonoma, California), Chapel Hill McLaren Vale Shiraz 2014 (Australia), Antucura Calcura Uco Valley Mendoza 2011 (Argentina), Viña Magna Tempranillo Crianza Ribera del Duero 2011 (Spain), Dominio Basconcillos Seis Meses Ribera del Duero 2015 (Spain), and Robertson Number One Constitution Road Shiraz 2010 (South Africa). Priced at $51.95 per shipment, plus $13 for shipping. You can choose any number of shipments and have it delivered monthly, every other month, or quarterly. Save up to $25 with coupon codes SAVE10, SAVE15, and SAVE25. Cab is king around the world, but aged Cab is hard to come by unless you’ve been squirreling it away for a special occasion. Fortunately, The California Wine Club has your back with their Aged Cabernet Series. They leverage their great relationships with boutique Napa wineries who offer up perfectly cellared Cabernet Sauvignon, aged 8-12 years, and ready to drink when it arrives. If Dad loves company and loves to show off, he’ll be delighted to open these bottles for his best pals. Or maybe you’ll get lucky and he’ll just share it with you! Recently featured wineries include: Sodaro Estate Winery (Napa Valley), Goldschmidt Vineyard (Alexander Valley), Troll Bridge Cellars (Napa Valley), Terra Valentine Winery (Napa Valley), and Ceja Vineyards (Napa Valley). A splurge at $231 per shipment, plus $14 shipping. You can choose any number of shipments and have it delivered monthly, every other month, or quarterly. This stunner rarely goes on sale, but there's a pretty awesome deal running right now: Buy it for Dad and he'll get two bonus bottles of Aged Cabernet in the first shipment! Use code EXTRAWINE at checkout to get this deal. For the wine-loving Dad who prides himself on scouting on the next latest and greatest, we’ve got just the grill-friendly wine subscription — the Garagiste Series from Gold Medal Wine Club. Garagiste doesn’t mean it was made in a garage, but it refers to tiny-production wineries in California (with a little Oregon or Washington here and there). He’ll get mostly red wine (or red only if that’s what you pick) that was made in quantities of as few as 50 cases from new wineries and pedigreed winemakers’ side projects. Recent selections include: 2013 Dilécta Syrah (one of Paso Robles' most talked-about new wineries though these groups hale from the famed Bien Nacido vineyard in Santa Barbara County, 165 cases produced), 2014 Thomas Knoll Cabernet Sauvignon (Coombsville, Napa Valley, 270 cases produced), 2016 Sycamore Ranch GSM (several Central Coast AVAs, 62 cases produced), and 2013 Côtière Chardonnay (San Luis Obispo's Talley Rincon Vineyard, 105 cases produced). Priced at $75 per shipment, plus $13 for shipping. You can choose 1-6, or 12 shipments delivered monthly, every other month, or quarterly. 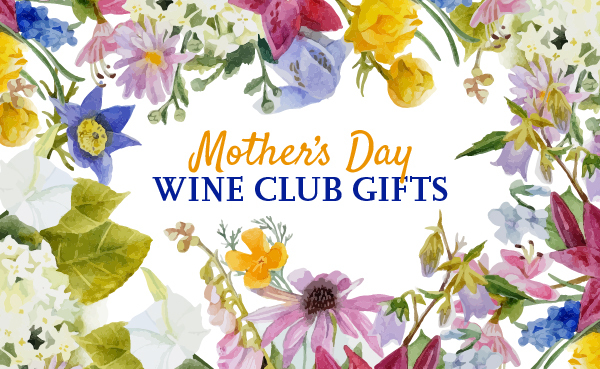 Gold Medal offers the best gift packaging of any of the wine clubs with their signature artist-designed gift box and matching gift customized gift card. 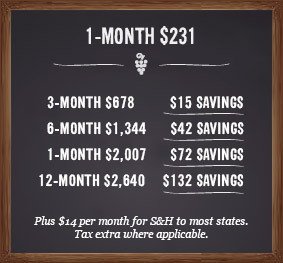 A Wine Subscription is Over Your Budget? No worries, we understand completely and want to help you get Dad an awesome wine gift anyway. We’ve prepared a selection of one-time gifts that keep with our grilling theme, but offer up a little something extra, too. Plus, we made it easy with tried-and-true grapes mostly from pedigreed wineries he’s heard of. Meritage rhymes with heritage, and is California’s version of “Bordeaux” blends — predominantly Cabernet Sauvignon and Merlot. Paired with popcorn by The Art of Caramel in four flavors including Bananas Foster with Dark Rum and Kentucky Bourbon Black Peppercorn. We’re salivating. Why this gift? When it comes to wine value and selection, Winc is hard to beat, but few people know about their boxed gifts which come in premium packaging for a luxe presentation. The wines are super interesting, mostly old-world selections (think European wine regions) and are sophisticated selections he almost certainly has never seen before. And, if he likes something, he can order full-size bottles for his next grillfest. Why this gift? VineBox's standard packaging is perfect for gifting. Each box is a well-designed treasure chest. The interior is composed of a dense, black foam that protects the tubes during shipment. 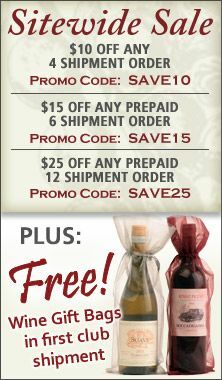 Plus, if you're on a budget, this is the best deal in wine club gifts. Wine Goes Well with Snacks, too. Gotta eat something while you’re waiting for the meat to marinade and the grill to warm up! These gifts come with munchies to keep him happy. Because who doesn’t enjoy a lovely bottle of California’s most popular Cabernet? 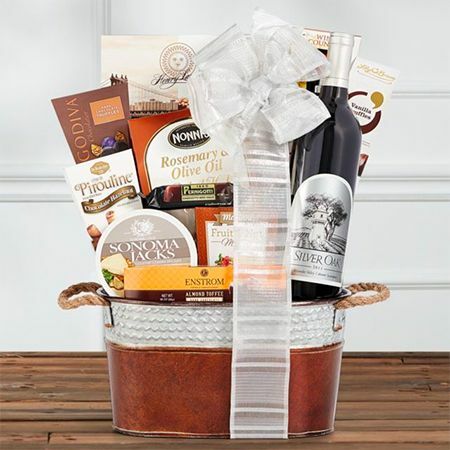 Specializing in gifting, Wine Country Gift Baskets does a great job with presentation and makes gift giving easy. This basket includes Silver Oak Alexander Valley Cabernet Sauvignon, cookies, toffee, truffles, nuts, crackers, and more. Currently shipping free! 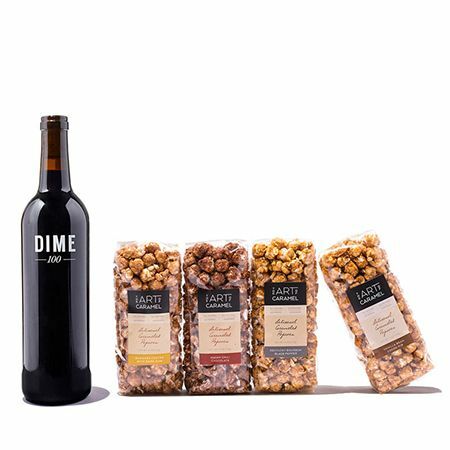 If your wine-loving Dad is the best Dad around, show him you mean it with one of these selections from GiftTree featuring the best wines available. Choose your own luxury wine, accompanied by Riedel Vinum XL glasses. A fine wine gift to be remembered. 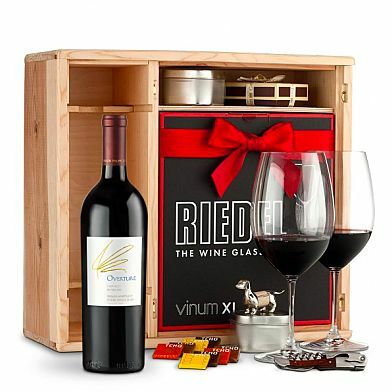 Packaged in a beautiful wood crate, the Vinum XL glasses will bring any red wine to life, and you can choose from 44 barbecue-friendly reds like: Opus One Overture ($330), Silver Oak Napa Valley ($370), Far Niente Cabernet Sauvignon ($410), Merryvale Profile ($440), Leonetti Reserve Red ($450), Joseph Phelps Insignia ($505), and cult wine Colgin Cellars Cariad Red ($800). The same great selection of the finest wines as the Private Cellar Gift Set. 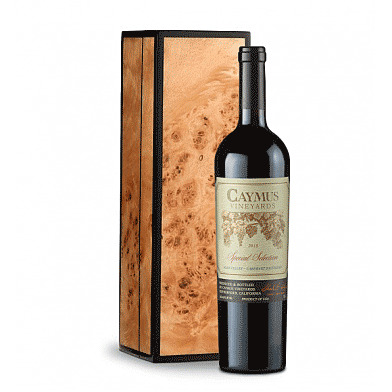 Give him the finest wine in a stunning keepsake box he can use forever. Choose from the same 44 barbecue-friendly reds as the Private Cellar, including: Robert Mondavi Reserve Cabernet Sauvignon ($270), Caymus Special Selection ($300), Leonetti Reserve Red ($330), Lokoya Spring Mountain Cabernet ($450), Opus One ($470), and cult wine Hundred Acre Few and Far Between ($695). He’s Good on Wine? Try These Awesome Gifts, Instead! Whether it’s time for him to try his hand at brewing beer or you just want to send him some great fodder for his next barbecue fest, check out these killer gifts for Dad. Choose from Wagyu Beef, Kurobuta Pork, and more. 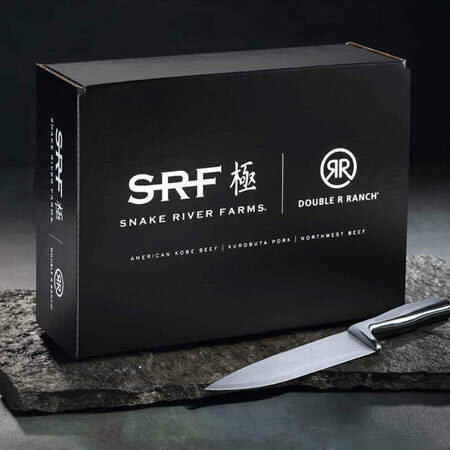 "Snake River Farms American Kobe (Wagyu) beef is celebrated by chefs and beef connoisseurs throughout the world and featured in a number of Michelin starred restaurants. USDA Prime, the highest USDA grade for beef does not adequately represent the quality of our distinctive and delicious beef. Only 3% of all beef in the US receives the designation of Prime, yet Snake River Farms far exceeds the standard. For this reason, we utilize the Japanese marbling scale which accurately measures the marbling in Snake River Farms beef." 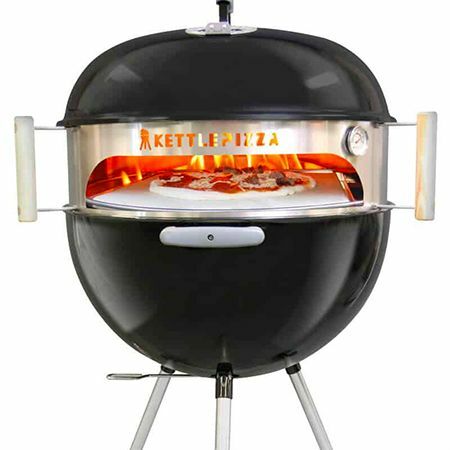 Kettle Pizza adapts a grill so that it reaches 750-degrees for 5-minute pizzas. Whether you call it brick oven, wood-fired, or Neapolitan-style, “800-degree” pizzas have swept the country and now you can adapt your home grill to make great pizza at home. They offer great kits which include the pizza peel, grill gloves, and more. Now he doesn’t have to choose between grilling and pizza.